Orders are processed through MyCommerce.com, which accepts different types of payments: credit card, PayPal, bank transfer with invoice, and more. All available payment methods are listed on the secure order page. The ordering process is totally secure, and it only takes a few minutes. 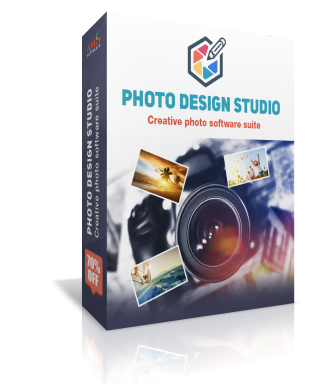 This pack is an ideal choice for novice users with a keen interest in photo design. It offers over 100 instant creative effects, 100 calendar templates, 100+ collage layouts, and dozens of slideshow themes. With the standard pack, you’ll be able to make gorgeous calendars for a week, month or a whole year, design greeting cards and photo collages with a personal touch, present your family pictures in the form of an eye-catching slideshow spiced up with special effects. Get all the necessary tools at once - from simple photo editing to creative design! With all the benefits of the Standard version, the Premium pack includes 200+ calendar templates, 350+ collage layouts, and over 150 slideshow themes. This pack lets you make spiral-bound or booklet calendars and print them in HQ, turn your pictures into multi-page photo albums and scrapbooks, create HD slideshows for your TV set, YouTube channel or burn them to CD/DVD. This version is an absolute must-have for those who want to make the most of their photo collection and need a bunch of powerful tools for that. You will receive a registration email with download instructions and the license key within 10 to 15 minutes after the payment is processed. When ordering the Photo Design Studio suite, you get a life-long license for the current version along with 12 months of free updates.